The seating bowl, as seen from down the third-base line. Fans view the lush green field from behind a thick screen. Location: 4th and Grove, Ontario, Calif. 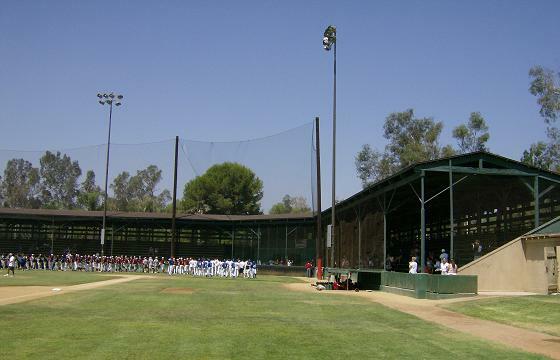 Located in John Galvin Park, about two miles from Ontario International Airport, Jay Littleton Ball Park is a hidden gem. They started playing ball here over 80 years ago, and by 1937 a wooden grandstand was completed which stands to this day. 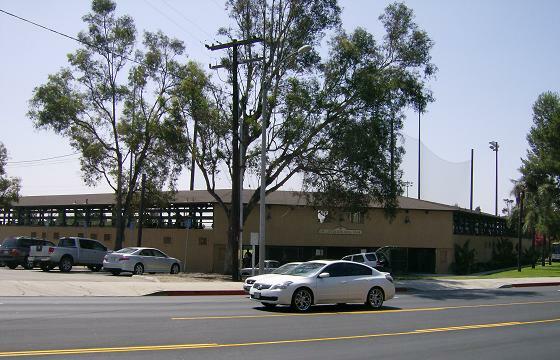 Surprisingly, professional baseball only visited here for one season, 1947, with the Ontario Orioles. 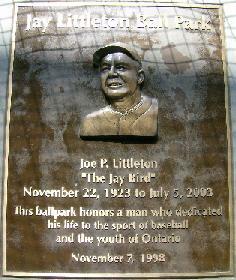 The park, officially dedicated to Joe (Jay) Littleton in 1998, is maintained expertly by the City of Ontario. Its well-preserved condition has enticed many a film crew to make the 50-mile trip east from Hollywood on I-10 to utilize the facility. 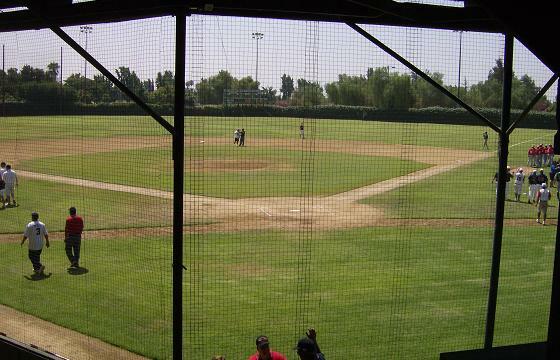 Most notably, scenes from the movie Eight Men Out were shot here. The site has also seen use by numerous crews shooting commercials.